This entry was posted in Time and tagged Canberra Centenary, chrono-synclastic infundibulum, flying, It's About Time, Kurt Vonnegut, place, Reading, rereading, Sydney, The Sky Whale, Time, Travelator, wordpress, writing by Sarah St Vincent Welch. Bookmark the permalink. 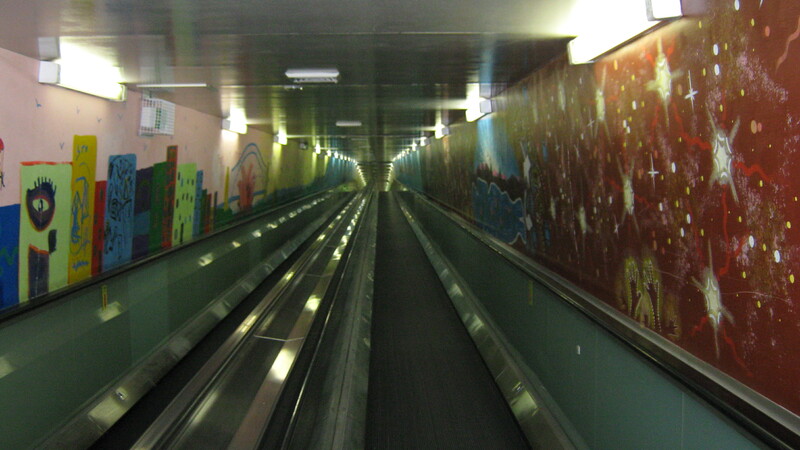 I just love that travelator in Sydney! Thanks! I do too! It used to be dank and dark and scary before the murals but always magical, now its dank and colourful and scary and kaleidoscopic with story and magic.